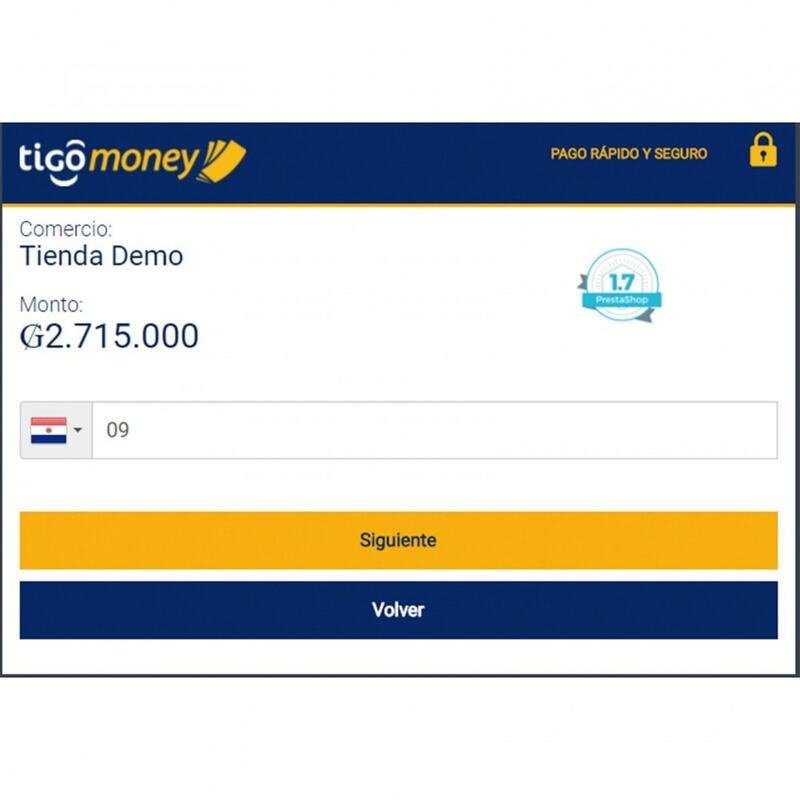 Allows you to integrate Tigo Money Paraguay services into your shop as a payment method. Customers can make payments through this payment gateway, leaving the order confirmed instantly once the payment is successfully made. Automatic integration of Tigo Money as payment method in your shop. Order confirmation in real time after payment is successful. 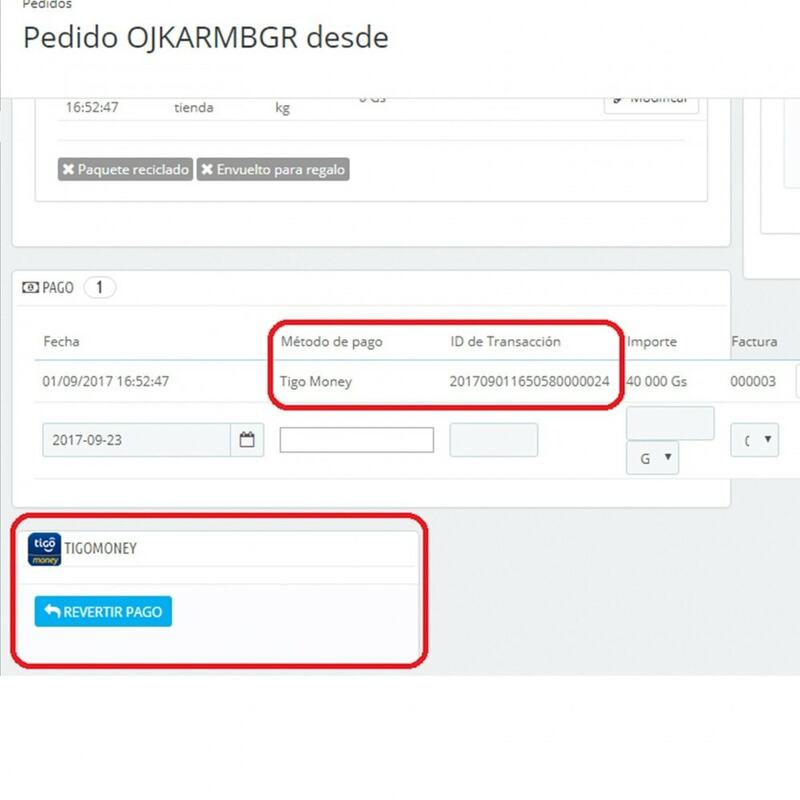 Configuration of the personal parameters associated with the services of your Tigo Money account. Possibility of reversing payments made. Registration of logs of transactions errors. 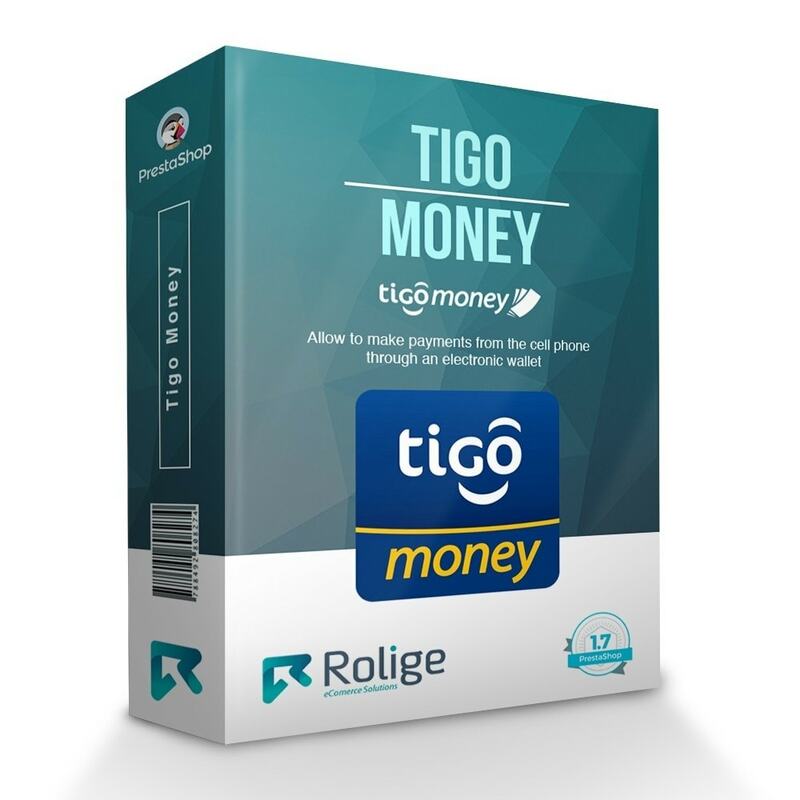 Make payments with Tigo Money! This payment system only works with Tigo Money Paraguay. 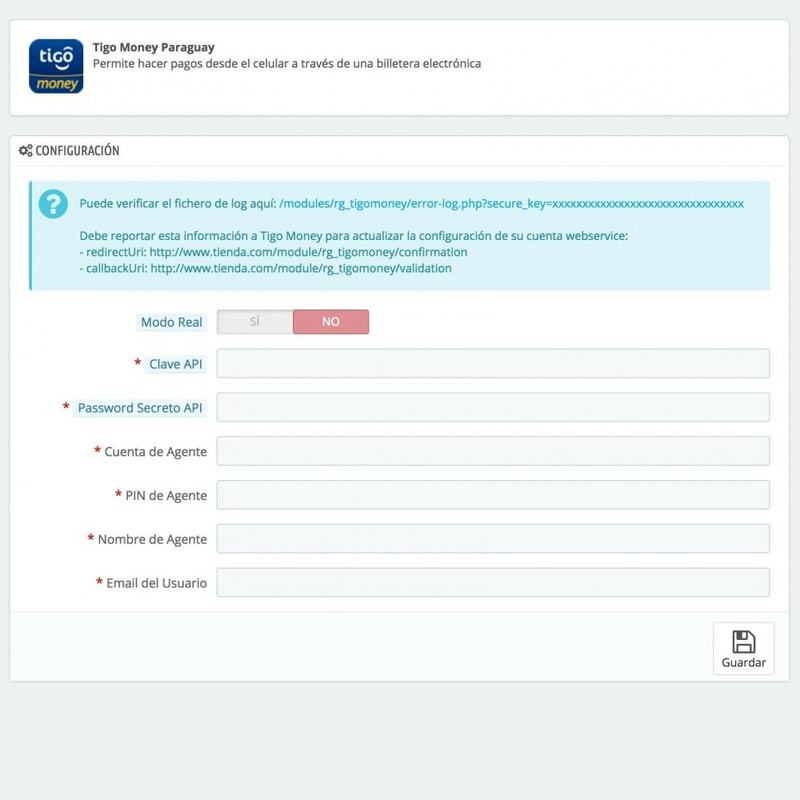 You must have a valid Tigo Money Paraguay account and webservice access to use this module correctly.